Since 1998, Expo Limousine is dedicated to allowing the customer to make an entrance. Whether it’s just a night on the town, or the most important day of your life. We want to make you feel as good as you look. for Parties, Anniversary Celebrations, Bachelor/Bachelorette Parties, birthdays and Sweet Sixteen Parties, Quinceneras, Casino Trips, Concert and Sporting Events, Funerals, Proms, Shopping Excursions, Weddings, School Dances and more! Choose from some of the most exclusive and exotic limousines in the Boston Area. Our Mercedes GL Limousine, Porsche Cayenne S Limousine and Jaguar S-Type R Limousine will sure to make your event stand out! 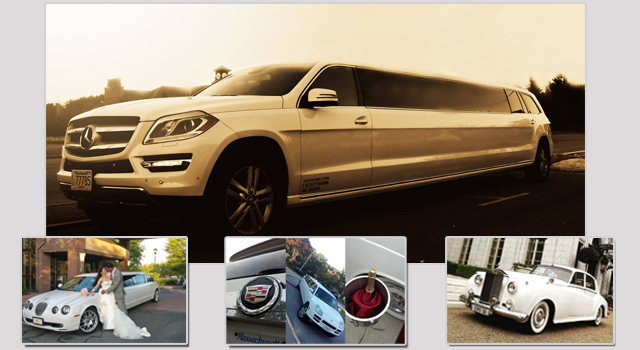 Expo Limousine provides safe, affordable and dependable Limousines services.